At his second inauguration in 1865, Abraham Lincoln once more spoke words meant to heal the wounds of a divided America. “With malice toward none, with charity for all”; these eternal thoughts should be the blueprint of any civil society, yet in the United States of Donald Trump we see the phrase literally inverted. 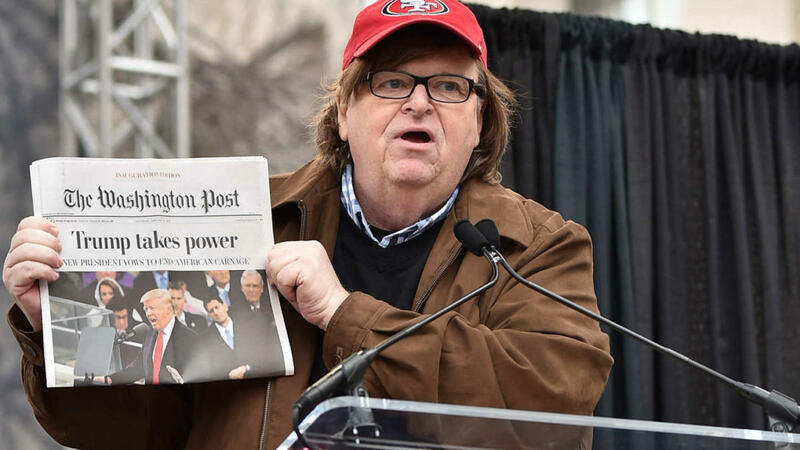 There is malice towards many, and a charity for a few and it is this societal malaise that documentarian Michael Moore targets in his latest scathing critique of the times we live in, Fahrenheit 11/9 . With his trademark razor-sharp incisiveness and biting satire, Moore returns in fine fashion shedding a bright spotlight not solely on the 45th president but on the system and society that got him elected in the first place. The film is both saddening and comical, just like the current political landscape, but through it, all the movie’s theme is that of urgency. An urgency to act, an urgency to call on those in power to act responsibly, and an urgency to respect and engage with democracy or risk losing it all together. While there is a definite bias in all his works Moore has the great ability to transcend partisan lines and present these facts and truth with striking effectiveness. Yet in this age of “fake news” Moore knows his efforts will now more than ever be smeared as in factual propaganda but he moves forward because the message is so much more than just a question of left and right. Is calling for an engaged electorate partisan? Is hoping that a just society may exist or that America can indeed fulfill the promise of the so called American Dream partisan? Michael Moore understands that beyond political spectrums there must be a common decency for a great nation to survive, and the current assault on it could not be more dangerous. From the Flint water crisis to mass shootings, Moore covers many issues affecting America. 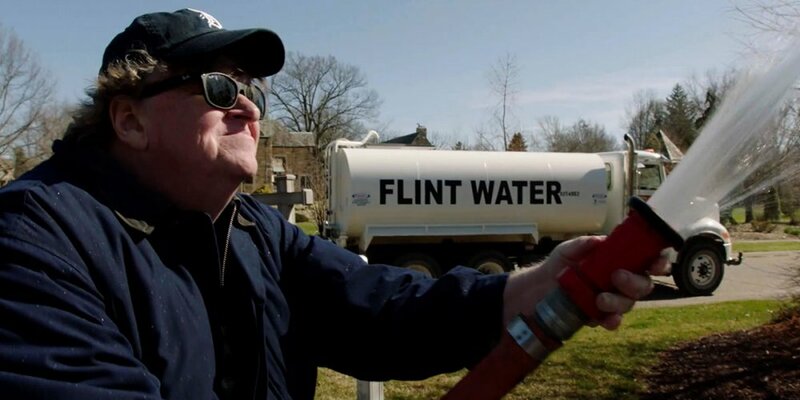 As with his other films, Fahrenheit 11/9 uses both archival footage and exclusive interviews with activists, intellectuals and lawmakers to drive his narrative along; interspersed with the occasional use of comedy (like Moore personally trying to arrest the Governor of Michigan) a thoughtful, engaging and ultimately hopeful tone is established that will leave viewers with plenty of discussion and incentive to act. At times, the film is too unfocused in scope and indeed Moore jumps from case study to case study to illustrate his points, which may leave some unsure of the exact relevance of his arguments. From highlighting the Flint water crisis to a teachers strike in West Virginia and the mass mobilization of students after the Parkland school shooting, what the film does is bring to attention the diverse examples of injustice and those who fight it. But through their differences, they are united in belonging to an America being run by an unprecedented president. While these specific case studies are cause for despair, they are simultaneously enlightening and uplifting encouraging us all that it is not enough to wish for a better world, we must actually build one. As Moore himself narrates at the film’s end, the ideal concept of America has actually never existed, but that’s why it has to be achieved. Is current America worthy of our tears? Yes, he argues, because America deserves to have its idealized potential realized. Besides these deeply penetrating thoughts, the film also brings up some very interesting curiosities about the man Donald Trump and his style of leadership. Did he really enter the presidential race just to get ratings away from NBC? Does he have an unnatural sexual attraction to his daughter Ivanka? These are trivialities in comparison to the case studies presented in the film, but still, they paint an alarming portrait of a presidency ill-equipped to effectively govern. Trump has always acted in outrageous and ludicrous ways Moore contends, but only now have we really started to notice something is very wrong. Using a wide selection of classical music from Mozart’s Requiem to Chopin’s Funeral March for both dramatic and comedic effect, the movie is a well-rounded creation of tragic comedy, inspiration and the obstinate belief that something better can always be attained. In the end Michael Moore’s call for an engaged citizenry is one that should resonate with those of all political stripes. Of course he approaches his views with a leftist lens, but whether one is conservative or liberal it is hard to deny the hard hitting truths he so eloquently presents. And so Abraham Lincoln’s view of America may indeed be rooted in idealism, but until that ideal place comes to be, we can never truly be satisfied. If the Trump presidency has done one thing right, it is that a light has been shone on the need to keep fighting for something better, for a society where there is malice for none and charity for all.